2016 marked the 10th year since the last season of events were held at the Eastway Cycle Circuit when the beloved cycle venue was wiped away with the holding of the 2012 London Olympic Games. Opened in June 1975 the Lee Valley Eastway Cycle Racing Circuit celebrated its 25th anniversary in 2000 and few would have doubted that it would not be standing for another 25 years. All looked safe as it sat on protected metropolitan land, but the decision by the Olympic movement to award the games to London unleashed powerful forces and money that saw homes, business’s, allotments, green spaces and Eastway Cycle Circuit bulldozed. We did a number of specials about the much loved London Cycle Circuit in 2006 and what we did after we left this iconic site. 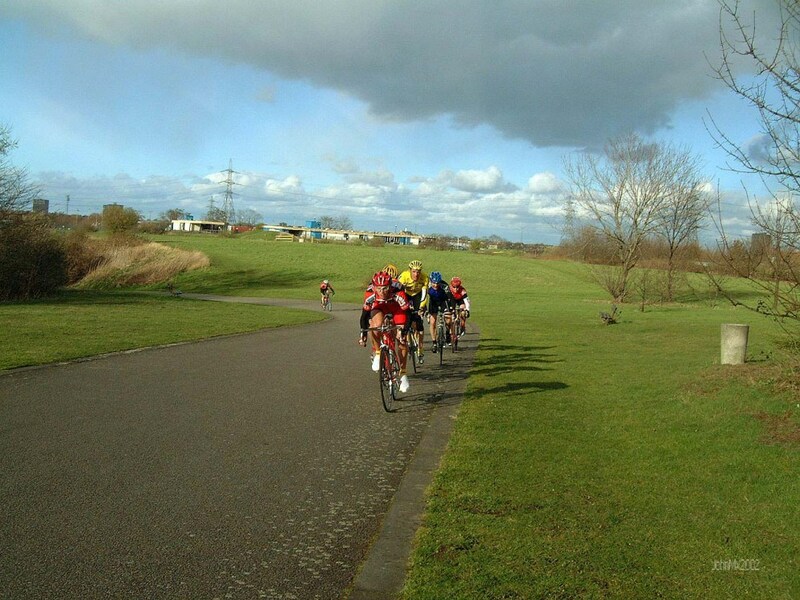 After Eastway closed we held events at first Hainault Country Park near Epping Forest and then to the purpose built Redbridge Cycle Centre (Hog Hill) built to replace old Eastway but situated much further out of London. Old Eastway was a wonderful place and this is all that remains of the road and off road circuits at the London Olympic Park.